"This has been the only real help I've gotten for my fibromyalgia. It is all natural and easy on my body. It just makes me feel good to take it. THANK YOU SO MUCH FOR PROVIDING THIS!" - Amy J. 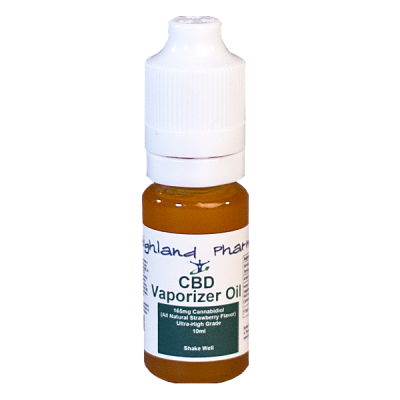 "I have tried several CBD hemp vape oils over the past few months. NOTHING compares to this one. Truly the best tasting and it does the best for my pain. These guys REALLY know what they're doing!" - Todd E.
"I have noticed a big difference in my pain level since i started the Hemp Oil. I am now able to sew again and not suffer for days. Thank for bringing this product out for people in pain, it really does help!" - Debbie M.
"I love this product! After using it now since December I can say it has made a huge improvement in my fibromyalgia symptoms and my flares! Big fan!" - Vanita S.
Are CBD Hemp Oil products legal in my state? CBD Hemp Oil products are non-psychoactive since they contain only trace amounts of THC. They are legal in all 50 U.S. states and Canada, and can be legally purchased online. Will CBD Hemp Oil be effective for me? The U.S. FDA does not allow us to make any claims about what CBD Hemp Oil can do or may do to treat your condition. We do share testimonials of customers who use CBD Hemp Oil to treat conditions including chronic pain, fibromyalgia, cancer, epilepsy, anxiety, migraines and more. CBD Hemp Oil is not effective for everyone and you should consult your medical professional before using it. Which CBD Hemp Oil product should I try? The choice of whether you ingest CBD through drops, vape oil, capsules or another method is entirely a choice based on personal preference. Generally, customers have told us that they notice the effects more quickly with vape oils but that the effects typically last longer when taken orally via the drops or capsules. Dosage is something that people typically have to experiment with to find out what is the best amount for them to take each day. People typically start by taking 15mg twice per day and then they adjust dosage as necessary. Effective dosage also typically varies based on the severity of a person's condition and their weight. Will taking CBD Hemp Oil cause me to test positive for a drug test? There are only trace amounts of THC in CBD Hemp Oil products. Therefore, it is highly unlikely that you would test positive for THC in a standard drug test. However, it is not impossible given differences in dosage and body chemistry from person to person. 1. CBD Hemp Oil is non-psychoactive and will not get you "high." This is because hemp (and the CBD extracted from it) has virtually no THC, the psychoactive ingredient in marijuana. 2. CBD Hemp Oil is 100% legal in all 50 U.S. states and Canada. The legality of CBD can be confusing because of the association with cannabis. However, CBD oil made from hemp is not a federal controlled substance. Thus, it is legal in every state regardless of each state's medical marijuana laws. 3. The effectiveness of CBD as a treatment option for diseases and medical conditions has not been scientifically proven by U.S. FDA standards. CBD products are not currently regulated by the FDA. We expect there to be more research and scientific studies into CBD in the near future as the number of people using these products continues to increase. 4. CBD Hemp Oil products come in several different forms. These include tinctures (liquid drops), vape oils, capsules, lotions and dabs. People often choose one form or another based on their personal preference and the dosage of CBD that works best for them. 5. CBD Hemp Oil can be purchased online but quality can vary by supplier. The FDA recently found that some online suppliers were selling products with little or no actual CBD in them. We recommend that anyone wanting to try CBD Hemp Oil do their research and buy from a trusted online supplier. Click Here to buy CBD Hemp Oil products online from a trusted supplier. 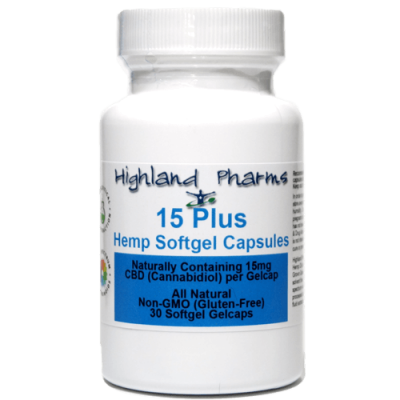 Highland Pharms uses organically grown hemp from Colorado and offers free shipping to all 50 U.S. states. 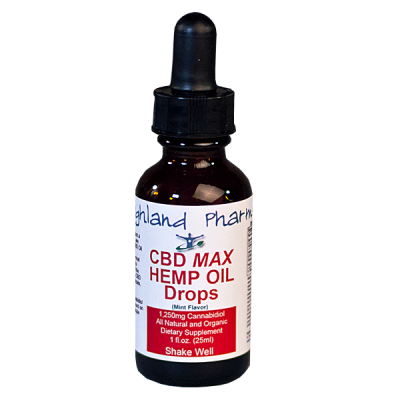 "We are proud to recommend Highland Pharms as our official online supplier of CBD Hemp Oil products. The team at Highland Pharms is dedicated to providing the highest quality products available, continually provides excellent customer service and truly cares about the needs of those who live with chronic pain." "I have used CBD hemp oil for my fibro for the last three years and it's the only thing that has even touched my pain. The other benefit is that there are no side effects that I have to worry about; this can't be said for pain pills. I've tried so many different medications and besides it making me feel funny, it didn't work on my pain; my doctor and I were at a loss until I spoke with a friend of mine about CBD hemp oil. Best decision I ever made!!" - Sherrain D.
Perfect for those wanting to try CBD Hemp OIl for the first time. This tincture includes 250mg of CBD in a one ounce bottle. 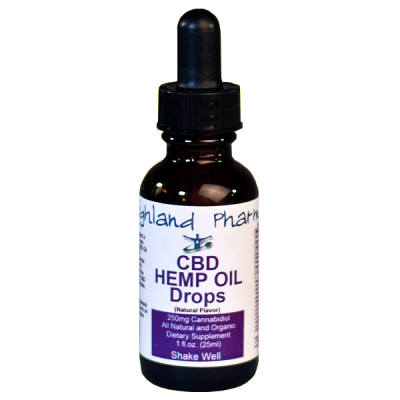 Best Value and highest concentration of CBD Hemp Oil drops. This tincture includes 1250mg of CBD in a one ounce bottle. 30ml bottle of 100% pure and natural CBD Hemp Vape Oil ideal for those who want to get their CBD by vaping. 30 capsules that each contain at least 15mg of CBD plus the full spectrum of cannabinoids found in hemp. 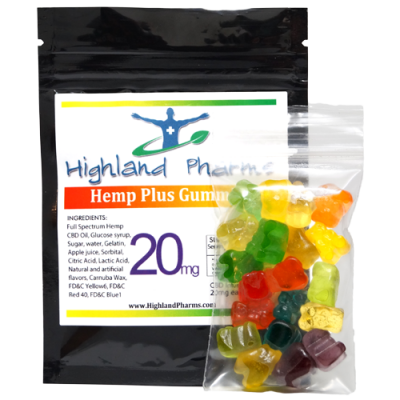 20 gummies that each contain 20mg of CBD plus the full spectrum of cannabinoids found in hemp. FibroCBD.com is a participant in the Highland Pharms affiliate advertising program and earns a small commission on purchases through the affiliate links above that supports our promotion of natural treatment options for those suffering from chronic pain. © 2017 FibroCBD.com. All rights reserved.